Erbania #80 ~ April 1999. Tarzan of the Apes has had a long literary life. Originally published in 1914 in Tarzan of the Apes, the jungle lord was featured in 23 other books by Edgar Rice Burroughs. As a cultural phenomenon, Tarzan has spawned comic books (many good), movies (many bad) with one good pastiche/adaptation entitled Tarzan and the Valley of Gold (1966) by Fritz Leiber. Parodies quickly followed success with cartoons like George of the Jungle and the pop songs like Guitarzan and Tarzan Boy as well as too many commercials and cartoons to number (though my favorites have always been those by Far Side cartoonist, Gary Larson). Tarzan has become part of our language, our shared symbology. But twice, he was a detective. Edgar Rice Burroughs tried many genres of writing during his forty years of writing. He was a man who wrote for pay. In Open Road Sept. 1949 (see the original in How I Wrote the Tarzan Books: OCTOBER 27, 1929), he explained, "I was not writing because of any urge to write nor for any particular love of writing. I was writing because I had a wife and two babies... I loathed poverty..." (Pg. 181) Not surprisingly he tried mysteries along with cowboy yarns, so-called "serious" novels and the science fiction and adventure tales for which he is famous. Of this massive output of words, there are two stories which have appeared under the guise of "mysteries." The first was not by the author's choosing but the second was. The first of these two mysteries came from a chapter of The Jungle Tales of Tarzan (1916), the sixth volume of Tarzan, Lord Greystoke. Jungle Tales is not so much a novel as a collection of short stories, similar to Kipling's Jungle Book. The book tells of Tarzan's life before falling in love with Jane Porter and his coming to civilization. 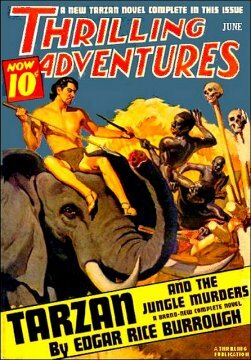 The chapter was originally called The Battle for Teeka which first appeared in Blue Book (June 1917), but was re-named Tarzan, Jungle Detective for the May 1964 issue of Ellery Queen Mystery Magazine. Burroughs died in 1950, so the sale was made by his literary heirs. The plot of The Battle for Teeka is at first sight not about a mystery at all. Tarzan, in an earlier chapter, had fallen in love with a she-ape named Teeka. He did not win her heart, but a friend of Tarzan's named Taug did. Teeka is stolen from Tarzan's tribe by a wandering male named Toog. Tarzan and Taug follow Toog's scent through the jungle in a head-long race to save the she-ape. A sudden rain-shower erases the spoor and Tarzan must use his keen senses to pick up the trail. ...Tarzan examined every branch and leaf which might have been touched by the fleeing ape. Following this tracking (the only detection in the story), Tarzan and Taug must battle three bull apes to rescue Teeka. The bloody battle attracts more hostile apes and it looks bad for the two rescuers. Teeka finds a pouch belonging to Tarzan with gun cartridges from his father's abandoned cabin. She throws these, scaring off the attacking apes in a jungle deux machina, allowing the three to escape. As can be seen from this description the tale is really one of rescue and battle and a typical Burroughsian jungle yarn. The detection is brief (but not too brief to attract the editors of EQMM) and ultimately not as important as the carnage and exploring ammo at the end. Burroughs had not written this story as a mystery and so we can't fault the author. But Burroughs did try once to write a real mystery. In the last years of Edgar Rice Burroughs life, the man who penned those dozens of adventure novels, found he needed money. With two ex-wives to support and poor health, Burroughs turned to the short story market, a form he had attempted and failed at earlier in his career. To make the much needed cash he penned shorter tales for pulps like Amazing Stories and Fantastic Adventures, featuring familiar characters like John Carter of Mars, Carson of Venus, David Innis of Pellucidar and three stories about Tarzan, collected in the final Burroughs volume, Tarzan and the Castaways (1964). The shorter format allowed the Burroughs a chance to try some new directions, something he needed badly after thirty years of writing. One of these new directions was the mystery. 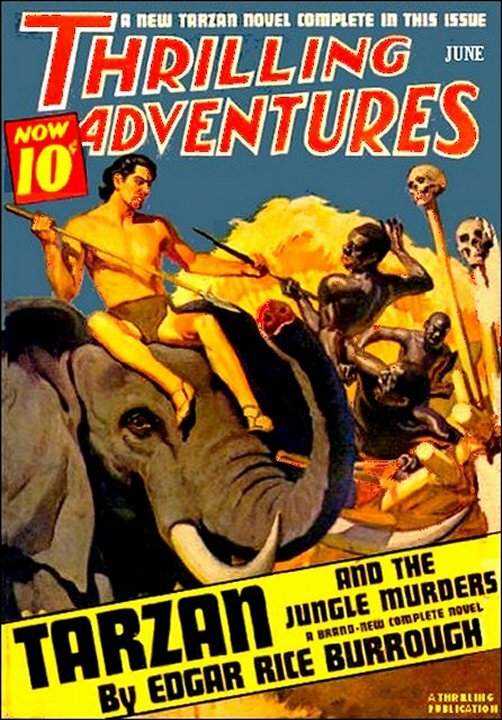 Having found the character of Tarzan to be mined out in the fantasy-adventure vein, he tried an experiment entitled, Tarzan and the Jungle Murders, which appeared in Thrilling Adventures, June 1940. The plot of The Jungle Murders is appropriately a combination of a "cozy" detective mystery and jungle adventure. The story begins with Tarzan discovering a downed airplane. He uses that one skill that most detectives lack, his sense of smell. After chasing off a pack of hyenas, Tarzan investigates the crash, finding one dead man. Using logic worthy of Holmes he quickly discovers what has happened. "Dead--one, two days," he muttered. "Bullet hole in the throat, a little to the left of larynx. Now, that's strange. I'd say this man was wounded while in the air. He lived long enough to land his ship. He had company with him too. But they didn't shoot him. "It took no special figuring on Tarzan's part to infer that the dead man had not been alone. The ground around the ship showed human footprints, not native ones either. Also there were a number of cigarette butts and a piece of a cellophane wrapping. But the investigation isn't over yet. Tarzan finds a single right-hand glove and in most atypical style for a detective: "He picked it up, opened it, smelled of the inside. His nostrils quivered. Then he dropped the glove--but he would not soon forget what he had learned from it." (Pg 153) Finished with the glove's scent he then analyzes the tracks coming from the plane. Two men, have left the crash, about two days ago. Tarzan follows the tracks and comes to the second plane of his theorizing. Tarzan finds near-by ropes from a parachute and deduces the second pilot had parachuted before his plane crashed. He puts all the pieces of the aerial battle together. Having set up this situation, while showing Tarzan's skills as a detective, Burroughs then back-peddles, and give all the back-story behind the two airplanes. Horace Brown, an American inventor, creates a new secret devise, which his lonely secretary leaks to an unscrupulous thief named Joseph "The Pooch" Campbell. Brown is later murdered on his way to London to sell the devise. A Russian named Zubanev and Campbell disappear from the ship with the plans for the devise. Unfortunately, the bag they stole from Brown do not contain the plans. They had been smuggled out by a Lt. Cecil Giles-Burton, a British flyer. The two spies follow in a fast Italian plane, attempt to shot down the Englishman. Burton kills their pilot before bailing out of his wounded plane. Burroughs does not return to his mystery for several chapters after all this information. Tarzan gets captured by the Buiroos, native cannibals who plan to eat him. Only by calling to Tantor the Elephant does he escape. The intervening episode is typical Burroughs (used in other novels) but acts a short break before the actual mystery begins. The mystery proper begins with a safari filled with conflicting characters (another Burroughsian staple). It is here that the crime will take place despite the unusual surroundings. Later, in typical mystery style, they will be explained in the office of the British authorities. Lt. Burton, our downed pilot, falls in with this combined safari and quickly makes enemies. Gault tries to drive him off, because of his starved and ragged appearance after days in the jungle, and later they fight when Gault assaults a black porter. Godensky hates the Englishman because he stands up for Violet, the maid, who does not like the Russian's sexual advances, and Trent fears him as a rival for Lady Barbara's hand. The safari stops only a day's march from Bangali, where Burton's father awaits the plans. The suspects are assembled and the stage is set. This escape is followed by another murder. Peterson, one of the two men found in the jungle, is stabbed through the heart. Smith blames the killing on Tarzan, even though the apeman is in Bangali speaking to Col. Gerald Giles-Burton, the first dead man's father. Tarzan explains about the death of his son, names the spies involves and swears he will capture the pilot's killer. Tarzan gets his final chance to play detective when the safari arrives in Bangali. In typical "cozy" style, all the players are assembled for the detective to perform his astonishing deductive magic. Col. Burton begins questioning the white travelers. He asks Smith if he saw Tarzan fleeing from Peterson's tent. The man says he thinks so but it was dark. The colonel asks if anyone wants to make a direct charge against anyone? Lady Barbara surprisingly accuses Trent. The investigation seems inconclusive. Tarzan steps in to ask the questions. He asks to see all the knives of the travelers. He gets one from Smith, Godensky and Trent. Then he asks Smith how Peterson was lying in the tent. Smith describes the scene: Peterson was flat on his back on the left side of the cot. Tarzan asks for the man's gun. Smith denies that the bulge in his shirt is a gun, misunderstanding Tarzan's motives. "'You ain't as smart as you think you are,'" (Pg. 190) he says foolishly. With this information Tarzan fingers Smith as the killer, saying he is not Smith, but Campbell, the American thief, and that Peterson was really Zubanev, the Russian. Romanoff wonders at the man's motive. Tarzan explains about the plans which Campbell has hidden in his coat. Joseph "The Pooch" Campbell is taken by the local constabulary and the mystery is almost completely solved. Ramsgate asks: "'How did you know that Zubanev was on that Italian airplane?'" 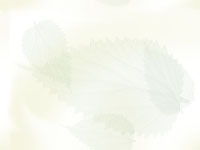 (Pg. 191) Tarzan answers that he found his glove. The English Lord still does not understand. And with that Tarzan returns to his jungle. 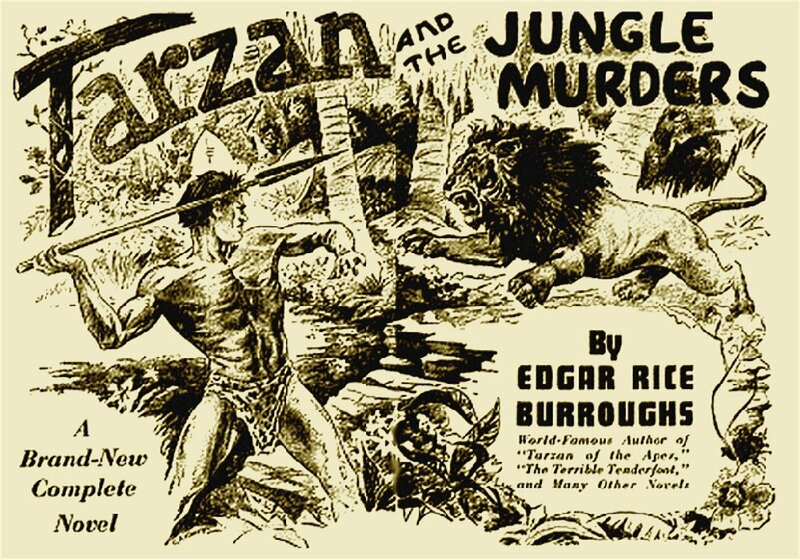 Edgar Rice Burroughs threw his hat into the mystery writer's ring with The Jungle Murders and it is only fair that he be evaluated by the same criteria as all other Mystery writers. Contemporaries of Burroughs (namely G. K. Chesterton and Agatha Christie) known as the Detection Club solidified the rules of the game back in the 1930's. 1. All the evidence must be presented to the reader. 2. The murderer must be introduced early on in the story, not as a last minute device. 3. The crime must be significant. 4. There must be detection on the part of the detective. 5. The number of possible suspects must be presented to the reader, and one of them should be the guilty party. 6. The writer must write only about those things germane to the puzzle. This is the yardstick by which we shall measure The Jungle Murders. Edgar Rice Burroughs can take credit for following four out of the six criteria. (#3)The crimes are significant. Murder, theft and treason qualify, though the scenario is not new. Conan Doyle used a similar affair in The Naval Treaty (Oct-Nov 1893). (#4) There is detection on the part of the detective. Tarzan does have to seek out the evidence and come to conclusions about it. His best detection seems to be at the opening, in figuring out the two plane crashes. (#5) The number of possible suspects are presented to the reader, and one of them is the guilty party. This is probably the best aspect of Burroughs' scenario. He offers lots of different characters and there is no real possibility in the reader's mind of the killer being a rankled black servant or some other background character. Unfortunately, Burroughs obvious liking for certain characters removes them from the list of possible killers. His English Lord and Lady are too good to be suspects. He can throw off suspicion of some characters by surrounding them with other despicable types. It is amazing that the killer turns out to be American, as Burroughs disliked Russians and regularly featured them as villains. Where Burroughs fails according to the Detection Club rules is with the last two criteria. (#6) The writer does not write only about those things germane to the puzzle. He wastes two chapters on a jungle escapade, but as it is a Tarzan story this a minor quibble. The cannibal episode offers the reader a pause before plunging into the safari and offers background. We must also remember that the story appeared in Thrilling Adventures, and that the editors would require some daring-do as part of their format. (#1) is the rule that Burroughs breaks unforgivably. All the evidence is not presented to the reader. There is no way the reader can solve the mystery on the information given. At the end when Tarzan does the traditional explanation of the evidence, he tells how Smith's hand is missing a finger. There is no mention of this earlier. Any mystery reader worth his salt would have seen the connection if presented fairly. This is Burroughs showing his inability to misdirect fairly. More ambitious but equally unfair is the evidence of the glove's scent. The narrator does not present this information at the time that Tarzan meets Peterson. He establishes it with the glove, then reveals it at the end. Though the idea of a detective who can scent things beyond others is intriguing (a combination Holmes and Toby the bloodhound), Burroughs has not used it fairly. As Tarzan states: "'...Numa, the lion, or Sheeta, the leopard, would understand...'" (191). Perhaps Burroughs might have succeeded better writing for that audience. Edgar Rice Burroughs included many of the clichés of the mystery novels of his day into all of his writing: lost inheritance, double identities, strangers out of the past. These were the props he used in constructing plots for his adventures. But these elements, as well as those used in The Jungle Murders, do not demonstrate a talent for mystery writing. I believe it is evident that Burroughs read mysteries (and probably liked them well enough). His talent was not the hard logic and clever ability to misdriect that made Agatha Christie the queen of the mystery writers, but the free-roaming pulse of adventure. One reads Edgar Rice Burroughs for the fantastic, the thrill of danger. The one thing he did know how to write very well. Burroughs, Edgar Rice. Jungle Tales of Tarzan. Ballantine Books: New York, 1975. Burroughs, Edgar Rice. Tarzan and the Castaways. Ballantine Books: New York, 1977. Lupoff, Richard A. Edgar Rice Burroughs: The Master of Adventure. Ace Books: New York, 1968. Porges, Irwin. Edgar Rice Burroughs: The Man Who Created Tarzan. Ballantine Books: New York, 1975. Waugh, Hilary. "What is a Mystery? "The Basics of Writing & Selling Mystery & Suspense. Writer's Digest: Cincinnati, 1991. G. W. Thomas lives in Central British Columbia. THE ARMCHAIR DETECTIVE, GOTHIC.NET and JOBS IN HELL. He makes and sells fantasy and horror pottery.